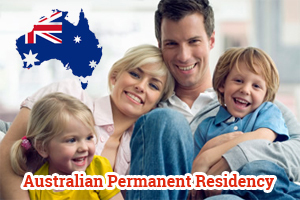 Home » Australia » How to obtain Australian Permanent Residency ? Australia is the desired destination location chosen by a number of immigrants. Australian PR is a permit given for a foreign national to stay, work and settle in Australia. People tempt to Australia Immigration for education, business, sightsee and work. Skilled nationals from overseas can migrate to Australia under various skilled programs to stay and work in Australia and by obtaining an Australian PR. Overseas nationals can enjoy the following benefits or privileges, once they acquire an Australian Permanent Residency. Individuals can travel from and to Australia unlimitedly. Individuals are free to take up any kind of higher education course. Can work in any of the profession. Can get free medical care in public hospitals plus funds for medicine. Can sponsor spouse or partner to stay in Australia along with the main applicant. Eligible to apply for Australian Citizenship. Can Access to social security. Privilege to enter, work and reside in New Zealand any time. Foreign nationals who wish to apply for Australian PR must satisfy the necessary requirements. Australia Skilled Independent Visa subclass 189 and Australia Skilled Nominated Visa subclass 190 are two types of skilled visa programs under which an overseas national can get an Australian PR. The following are the some of the requirements fulfilled by the foreign nationals in order to obtain Australian PR. Australian PR is a point based scheme where an individual need to score minimum qualification marks, which are awarded on both the personal and professional skills of the individual. The point based test helps applicants to get a suitable job in a profession that matches their skills required in Australia. People who are interested in Australia immigration, Please fill out MoreVisas Enquiry Form, and you can also Follw us @ Facebook, Google+, LinkedIn. ← How to Migrate to Denmark through Denmark Green Card ?